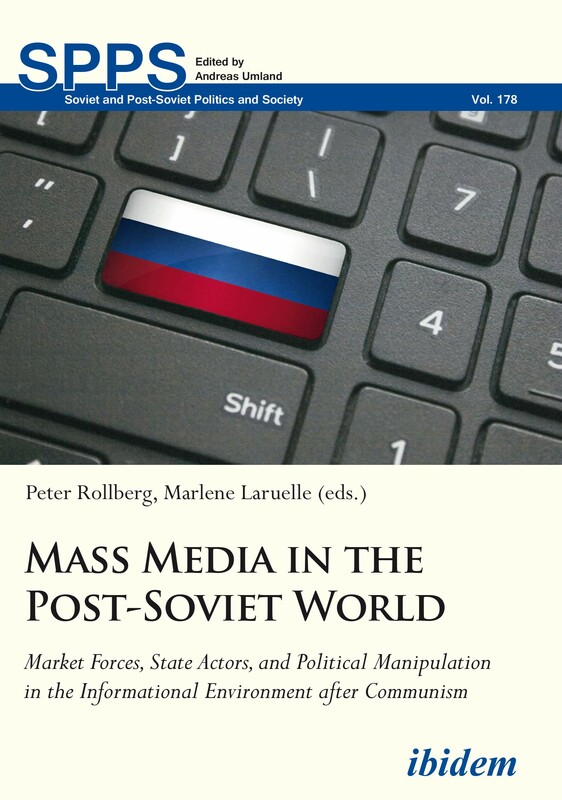 This collection covers the major trends of the media environment of the post-Communist world and their recent development, with special focus on Russia and the post-Soviet space. The term ‘media environment’ covers not just traditional print and electronic media, but new media as well, and ranges from the political to entertainment and various artistic spheres. What role do market forces play in the process of media democratization, and how do state structures regulate, suppress, or use capitalism toward their own gain? What degree of informational pluralism has been achieved in the newly independent republics? What are the prospects for transparency and the participation of civil society in Russian and Eurasian media? To what degree do trends in post-Communist media reflect global trends? Is there a worldwide convergence with regard to both media formats and political messaging? Western observers usually pay their keenest attention to the role of media in Russia and Eurasia during national elections. While this is a valid focus, the present volume, with contributions by Luca Anceschi, Jonathan Becker, Lee B. Becker, Michael Cecire, Marta Dyczok, Nicola Ying Fry, Navbahor Imamova, Azamat Junisbai, Barbara Junisbai, Kornely Kakachia, Maria Lipman, Oleg Manaev, Marintha Miles, Olena Nikolayenko, Sarah Oates, Tamara Pataraia, Elisabeth Schimpfossl, Abdulfattoh Shafiev, Jack Snyder, Tudor Vlad, and Ilya Yablokov, aims at understanding the deeper overall ‘media philosophies’ that characterize post-Soviet media systems and environments, and the type of identity formation that they are promoting. Dr. Peter Rollberg is Professor of Slavic Languages, Film Studies, and International Affairs at George Washington University, DC. He has been Director of the GWU’s Institute for European, Russian and Eurasian Studies (IERES) since 2012. Rollberg recently published a Historical Dictionary of Russian and Soviet Cinema (Lexington 2016). Dr. Marlene Laruelle is Research Professor of International Affairs and Associate Director of IERES, as well as Co-Director of the Program on New Approaches to Research and Security in Eurasia at George Washington University, DC. She recently edited Eurasianism and the European Far Right: Reshaping the Russia-Europe Relationship (Lexington 2015), and co-edited Between Europe and Asia: The Origins, Theories and Legacies of Russian Eurasianism (Pittsburgh UP 2015).